This week has been relatively busy, but thankfully mostly with nice things rather than medical stuff (that’s saved for next week!) 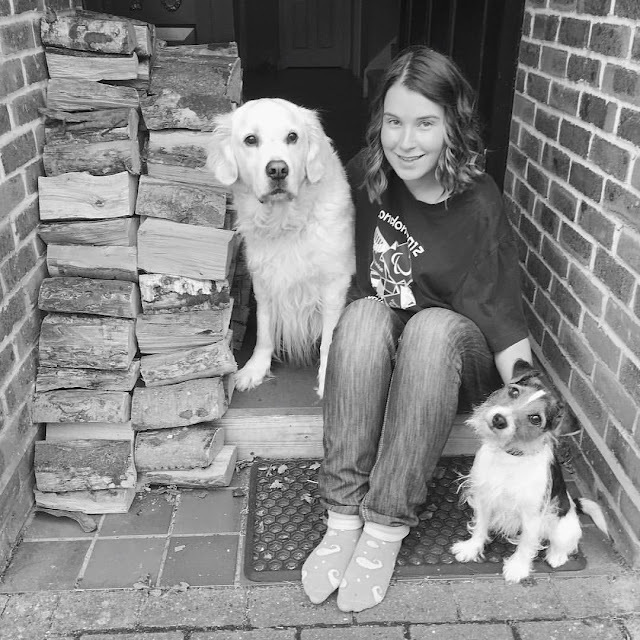 I’ve been trying to make the most of the lovely weather and the fact I’m on holiday, so have been spending quality time with my family. However, I’ve been really struggling with severe fatigue, which is making life rather hard work at the moment. I’m trying really hard to listen to my body as much as I can, and allow myself time to rest and recover when I need it. Last Sunday I decided to go to church with my Dad. There was a really good sermon about going through tough times, which struck a chord with me. 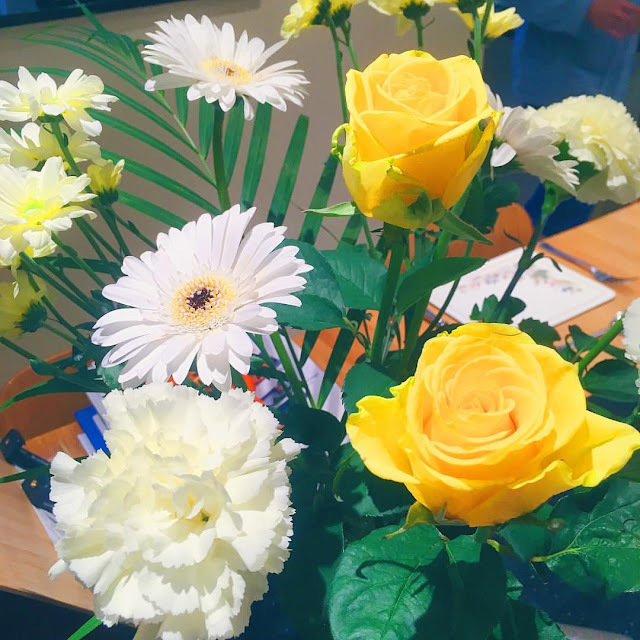 A member of the congregation (who is also a florist) brought a few bunches of flowers in for people to take to cheer someone up, so we brought one home to give to my Mum. 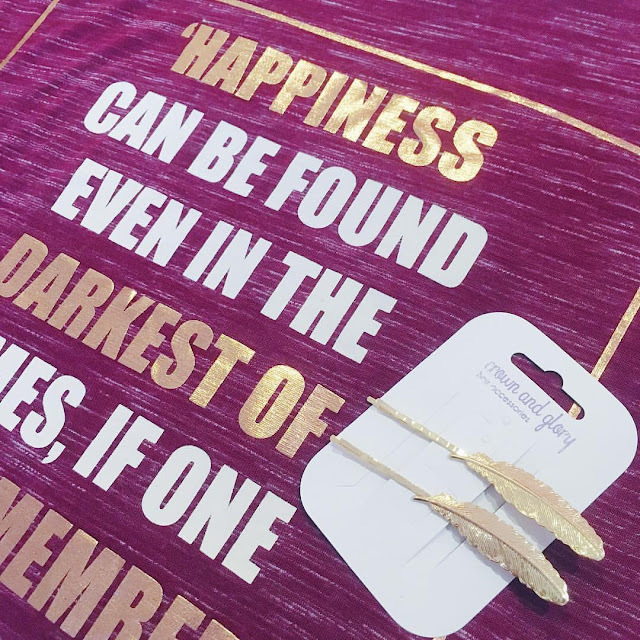 It definitely did its job and made her smile! When we got home I did my medications for the week ahead. Then I spent most of the afternoon writing and uploading a blog post. I also downloaded a load of photos and videos off my cameras onto my computer. I’m going to have to find a better way of storing them all, as my computer is filling up fast (although I do need to delete some stuff that I don’t need). I then uploaded some photos from Emma’s Hen Do to my Facebook. It’s only taken me two months! I really struggled with my mental health in the evening and felt pretty awful. 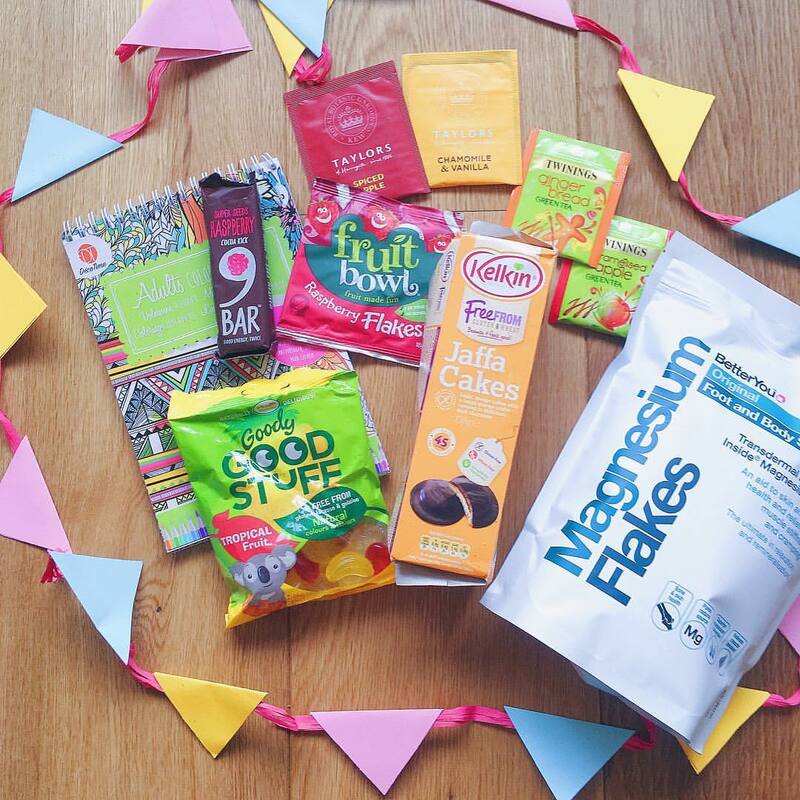 As I mentioned in the previous couple of week’s Sunday Snippets, this month I’m joining in with the Crown and Glory Glitterati 2nd birthday celebrations, which includes a photo challenge on Instagram for the whole of August! If you want to see everyone else’s, simply search the hashtag #CGGlitteratiTurns2. 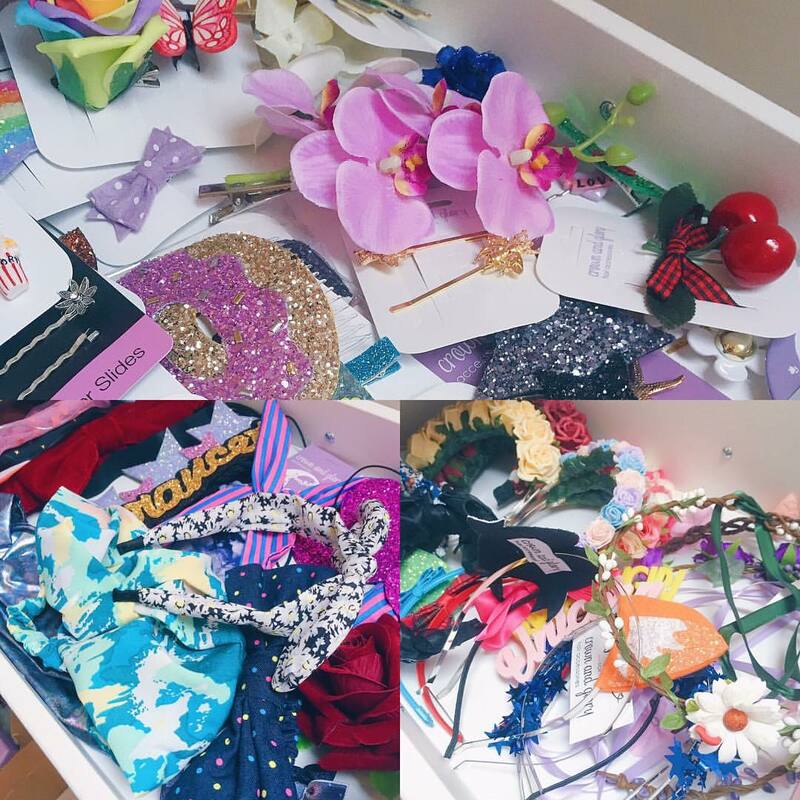 Day 14 is ‘Pamper Time – I’m not very good at the whole self-care thing because I often feel like I don’t deserve it. But I am trying to make more of an effort to pamper myself. 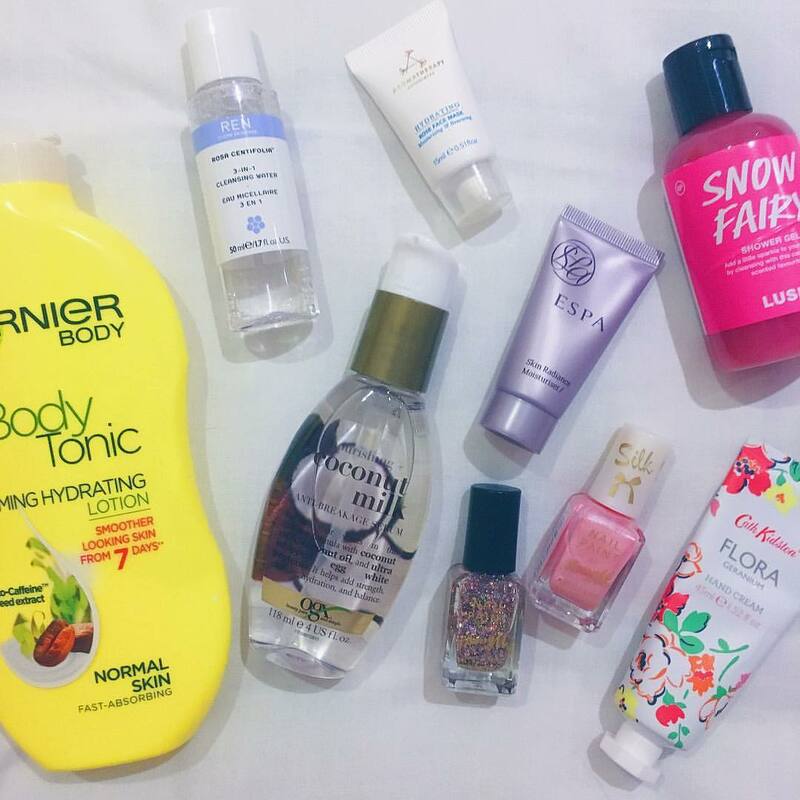 So when I do, I like to have a bubbly bath, perhaps wash my hair and put some nice serum in it, treat myself to some luxurious skincare products and paint my nails. On Monday morning my Mum, Dad, Emma and I drove to Mayfield Lavender in Banstead. Thankfully the sun was shining and it was a beautiful day. My Dad pushed me in my wheelchair down one of the rows and I took lots of photos. It smelt absolutely beautiful and was so relaxing to just be in the middle of acres of lavender, with the sun shining down on us. My Dad also took some photos of me in my Simply Be Sprinkle of Glitter dress for a possible blog post (depending if I look awful or not!) We sat in the lavender for a while and just relaxed and soaked in the sun. At lunchtime we made our way to the little café. They had a really lovely menu, with a lot of things infused with lavender such as scones, fairy cakes and tea. I had the most delicious lavender lemonade. I was quite tempted by the lavender ice cream, but we decided to look round the little shop instead. I was very close to buying quite a few things (tea, postcards, a bunch of lavender) but in the end we just picked a lavender plant for our garden. We made our way home and decided to make the most of the sun, so sat in the garden with an ice cream. 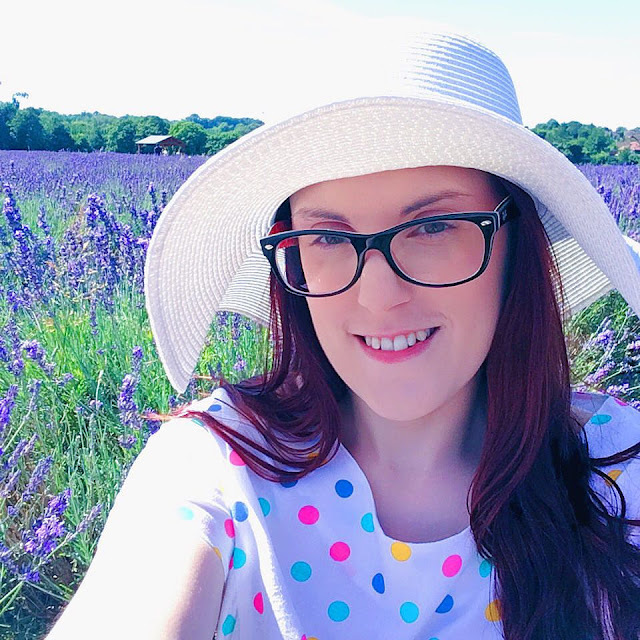 I’ve been finding it really hard to relax recently, but being in the lavender (and the sunshine) seemed to help, so I’m thinking of getting an essential oil electric burner that I’ve seen on Amazon. Day 15 of the August Crown and Glory photo challenge is ‘Day Job – I don’t work at the moment, but am studying for a journalism degree and fighting a number of chronic illnesses. It’s hard work and exhausting, but I’m hoping by studying something flexible (and that I enjoy) I might be able to work for myself and therefore work around being ill. It’s not what I dreamt of when I was growing up. I always wanted to be a doctor. But I’ve realised that I need to be realistic and stop chasing dreams that aren’t achievable. People sometimes see this as giving up, but I don’t think it is. I’m just being realistic and trying to make the most of what I am able to do in life. I love writing and broadcast and am loving my course. I’m finally starting to feel that I’m not settling for second best, but just going down a different path instead. Tuesday morning I had a hair appointment for a haircut and treatment, which was nice. The salon was really quiet as well, which made it more relaxing. My Mum picked me up and brought me home. I felt so tired but really forced myself to stay awake because I always feel so lazy if I fall asleep. I know it’s silly and that I probably need the rest. I’m just good at giving myself a hard time. I watched a bit of TV and got some things done on my laptop. I filmed myself opening some post for my ‘What the postman brought…’ series on YouTube, which included some bath flakes from Better You that I’ve been sent to review and some lovely surprises from my friend Charlie that I look forward to trying. In the afternoon I popped out to the chemist and Waitrose with my Mum. I didn’t feel well though, and also just got really frustrated and confused again about food. It’s like my body and mind are constantly fighting. I’m trying to fight an eating disorder every single day and that’s hard enough. But then my body is broken and eating causes me to get more unwell physically. How am I meant to address both problems at the same time? We got home and I just tried to snuggle up and disappear into my own little world for the evening. Day 16 of the August Crown and Glory photo challenge is ‘Double Trouble’ – Excuse my face, but taking an in focus picture of the top of your head isn’t very easy when you’ve got shaky hands! 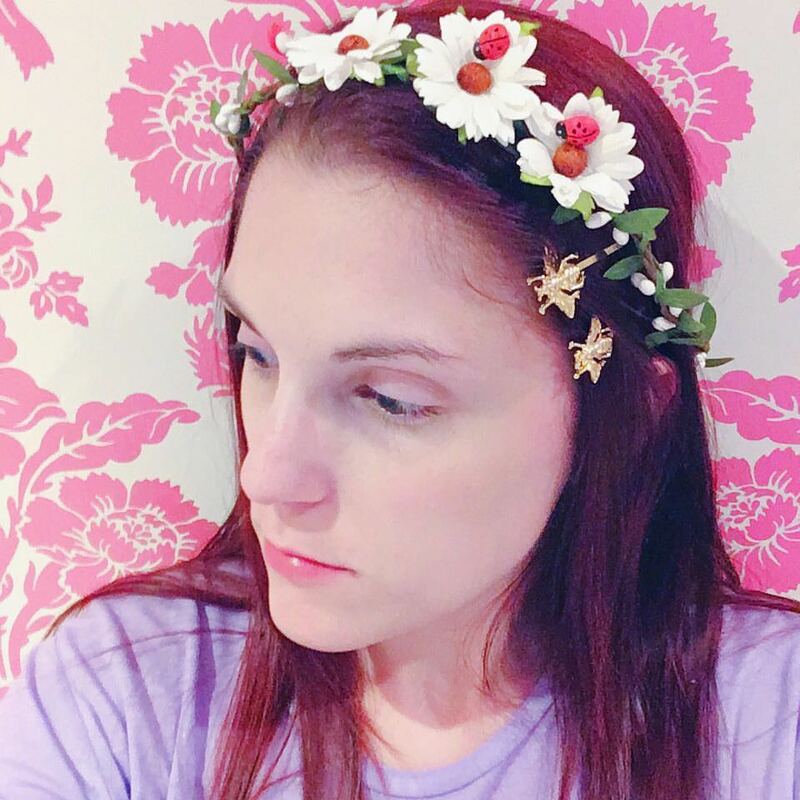 I teamed up this beautiful ladybird floral crown with these gorgeous golden bee hair slides for a very woodland themed look. I got up later than I’d planned on Wednesday morning, but I guess I needed the sleep. I had a phone appointment with one of the arrhythmia nurses and we talked through how I’m getting on taking the Midodrine. After some quiet time, my Dad and I went to the cinema to see The BFG, which was really good. It reminded me of reading the book as a child – I always loved Roald Dahl stories. 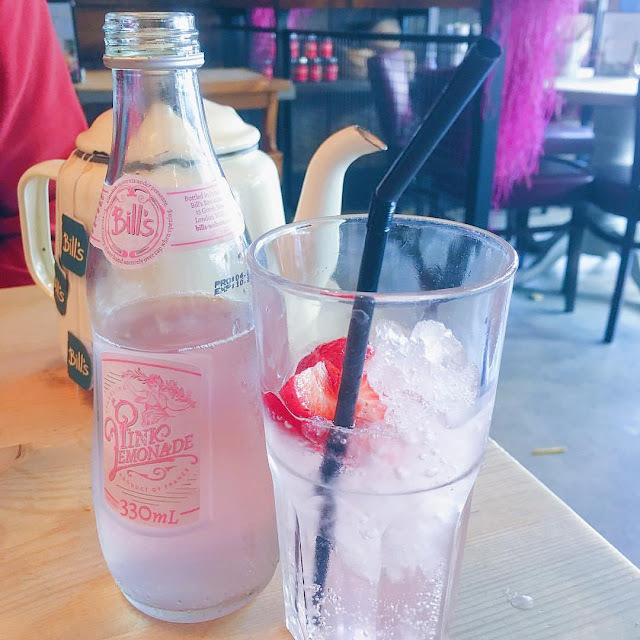 We then went to Bill’s for a late lunch and I tried this pink lemonade. It was really nice to have some Daddy daughter time; especially because the only time we really spend any quality time together is when he’s taking me to hospital appointments. When we got home I curled up on the sofa and watched some YouTube videos. Day 17 of the August Crown and Glory photo challenge is ‘Storage’ – I think I mentioned this in a previous photo in the series, but unfortunately the way I store my collection isn’t very imaginative. I have some white drawers from IKEA that I use to keep them safe from little furry friends who like to nibble them! I woke up really late on Thursday morning feeling pretty unwell with a pounding headache, exhaustion that I just can’t describe and generally just feeling really run down. 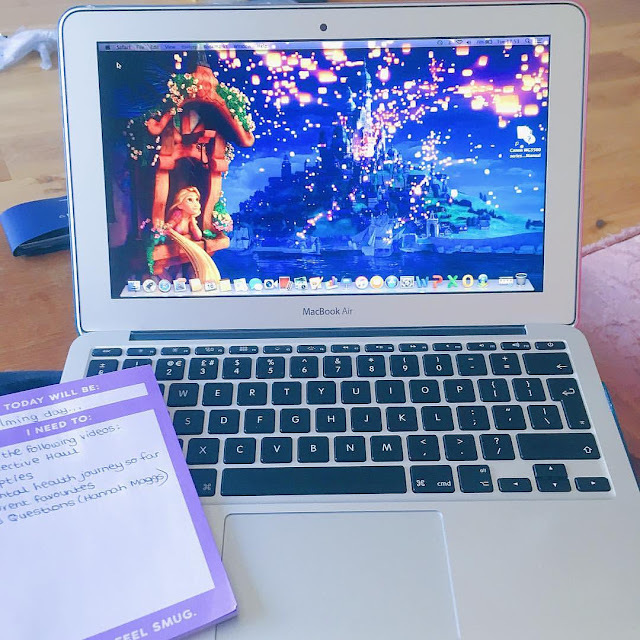 I had a full day of working on my blog/YouTube planned, but that went out the window, so I ended up beating myself up about that. I just felt so lazy and useless. I’m really struggling with my mental health as well, which is making life hard work. My Auntie came round for a bit in the morning, so I chatted to her and my Dad for a while. I popped out with my Mum in the afternoon to pick a few things up for my friend, who gave birth to a gorgeous little boy a bit earlier than expected. My Mum offered to take me to Costa for a drink, but I didn’t feel up to it so we just came home and I rested on the sofa. 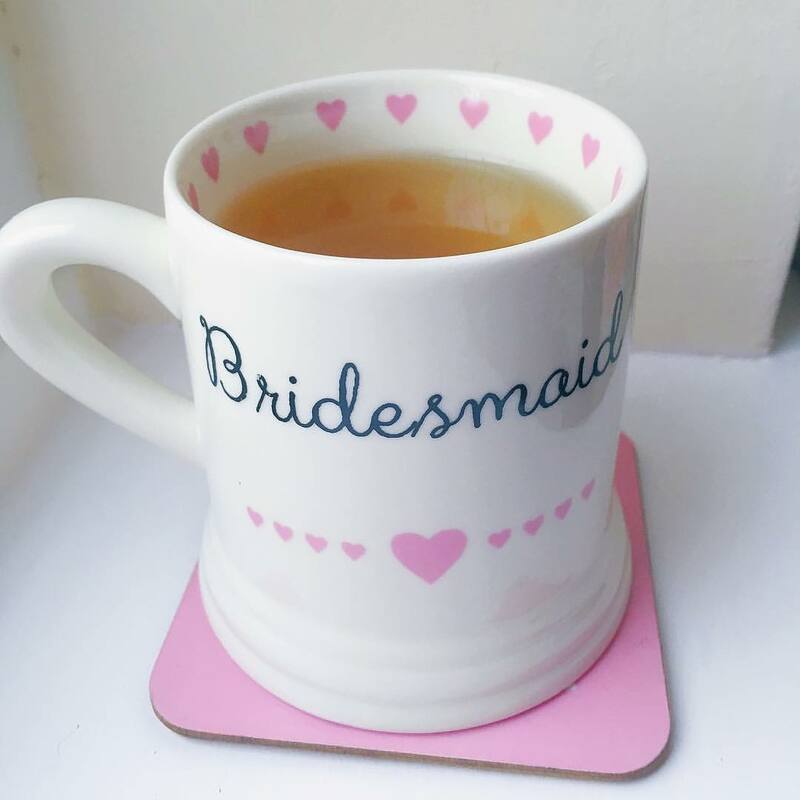 I had a Twinings camomile, honey and vanilla tea in the bridesmaid mug that Lisa gave me, which made me feel a bit better. 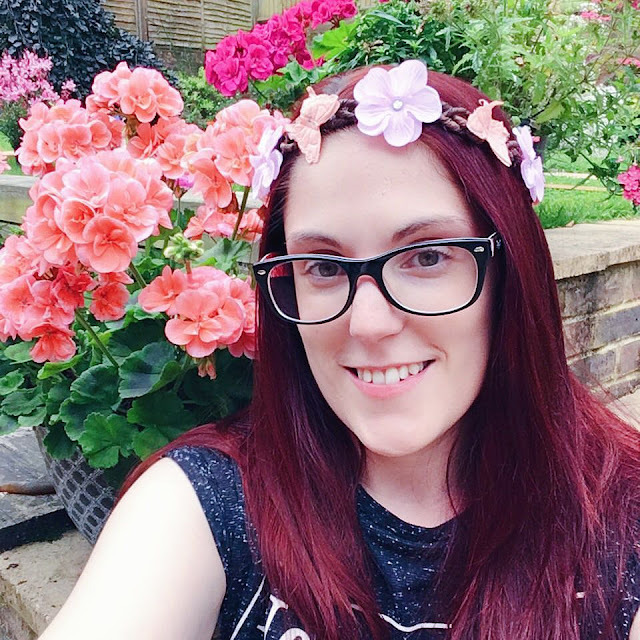 Day 18 of the August Crown and Glory photo challenge is ‘Flower Power’ – We’ve got quite a lot of beautiful blooms in our garden at the moment, so I decided to wear this gorgeous lilac and peach flower crown to match our pink and orange flowers. I had to be up early on Friday morning so my Mum could take me to the doctors for a blood test. I’m not sure it will give us any answers as to why I’ve been feeling a lot more unwell recently, but it’s worth a try. My Mum brought me home and thankfully I had no other plans for the rest of the day, so I could just take things at my own pace. I spent the morning uploading a YouTube video, editing photos and writing a couple of blog posts. I was actually quite productive for a change! 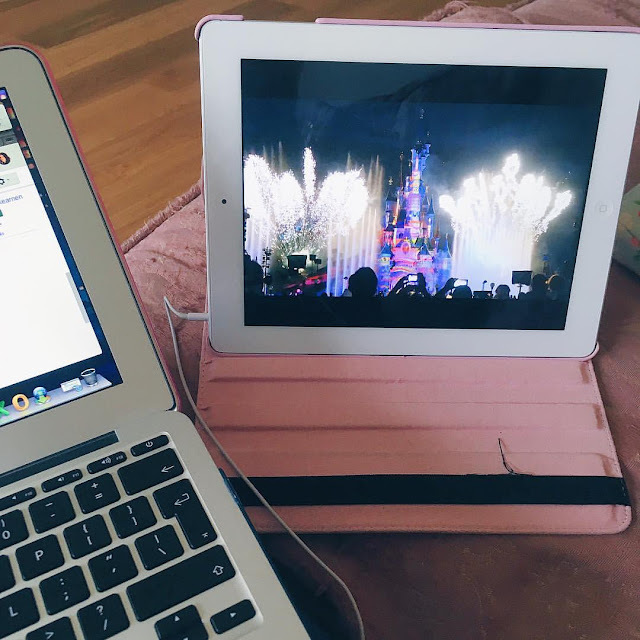 In the afternoon I curled up on the sofa, did a few admin bits on my laptop and binge watched a load of Disney vlogs and other videos by the lovely Steph from Stephanie Dreams - you should seriously check out her blog, YouTube and Instagram if you love Disney and dogs! How cute is this picture of my sister, Bekkah, and our doggy friends. I actually managed to get up at a half decent time on Saturday morning (with a few pokes from my Mum!) After taking things slowly for a while, my Mum and I then went to Tesco to pick up a few essentials. I bought a couple of magazines for my hospital stay next Thursday, a few toiletries and just couldn’t resist a couple of these. 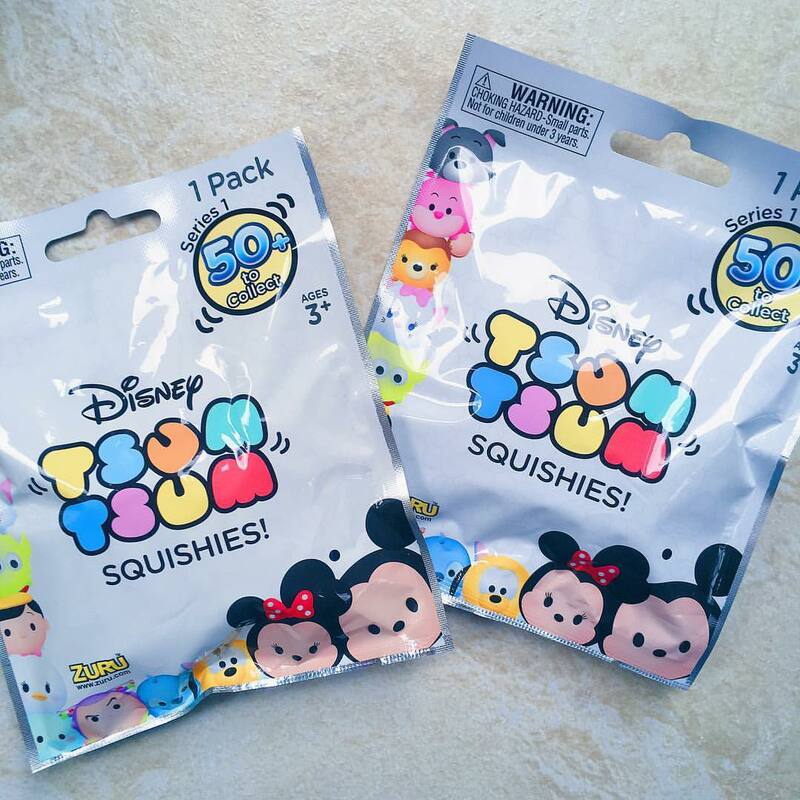 I’ve been wanting to collect the cuddly Disney Tsum Tsums for ages, but don’t really have the space, so have decided I’ll compromise with these little squishy ones (and maybe the odd fluffy one too!) We came home and Richard and Lisa popped in, so I chatted to them for a while. My Mum asked if I fancied going to Pets at Home with her, but after going out in the morning I was feeling pretty ill and exhausted. So, as much as I wanted to say yet, I listened to my body and stayed at home. I spent the afternoon curled up on the sofa catching up on episodes of Gogglesprogs and writing penpal letters. 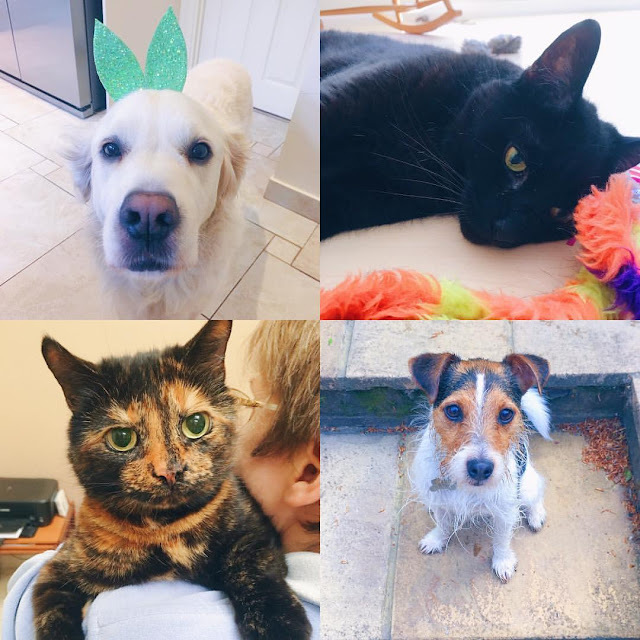 Day 20 of the August Crown and Glory photo challenge is ‘Pets’ – I love these four so much. They are always there for a cuddle when I’m feeling low. As Alfie loves to be dressed up, I managed to get him to sport a pair of glittery bunny ears! Top right is Jaffa, who was bought for me as a kitten from the RSPCA when I first started getting ill. He keeps me company every nice, which is a massive help as nights can often be the worst. Bottom left is Xena, who we rescued as a tiny kitten after her mother abandoned her when she fell out of the nest she’d made in the roof of a garage. Our veterinary nurse friend and her dogs brought her up, so she does have some quite doggy characteristics. And bottom right is Freddie, another of our rescues. He was found wandering the streets as a tiny puppy and has fitted into our little clan perfectly.